I have been blogging for 10 years and making money at it! You guys have heard me talk about the Genius Blogger’s Toolkit all week and now, the sale is almost over. But, I’m telling you, if you’re thinking about blogging as a profession, this is not a deal to miss. Today is THE day to pick up the Genius Blogger’s Toolkit. It’s insane to pay only $97 for all of the information above, insane and totally worth it! Yesterday, I announced this deal. It is a BIG deal. Why? Because I have been a professional blogger for nearly 10 years and I have supported my family while doing so. I have taught blogging workshop and have attended several over the years and this deal encompasses all of that! Right now (for only 6 days), you can get the Genius Bloggers Toolkit. We’re talking about 62 ebooks + e-courses plus, printables and bonuses! This is SO HUGE! I can’t even say it enough, I’m so excited I bought one too! This is a digital package crammed full of brilliant tools to help you grow your blog, work smarter & make more money. Disclosure: This is an affiliate offer, this is one of the ways I monetize my blog however, this particular deal is AMAZING. I say that because I have never seen so many resources offered together in one package at this insane of a low price. Blogging is work, this isn’t an easy path and you’ll need resources, this is the best bundle of resources I have ever seen. I’m buying one too! It is here and it is HUGE. I have been blogging and supporting my family by doing so for the last 10 years. That means, as a stay at home I had an income, when I went through my divorce, I had an income and now, remarried and with kiddos in private school, I have an income. Blogging is no joke, it is a job and it will work when you treat it as work and take advantage of every resource you possibly can. I have read a million blog posts, watched webinars and read ebooks on the topics of social media, building an audience, monetizing your blog, etc. I have also taught multiple workshops on the topic, I promise, I know what I’m talking about in this arena. That being said, a few days ago I came across one of the most comprehensive teaching bundles I have ever seen when it comes to blogging. Literally, every single thing you need to be successful at blogging is inside this bundle. I have read through it, many of the ebooks I had already read myself and I wanted to share it with you today. There is more information here than any workshop I have ever attended or taught. 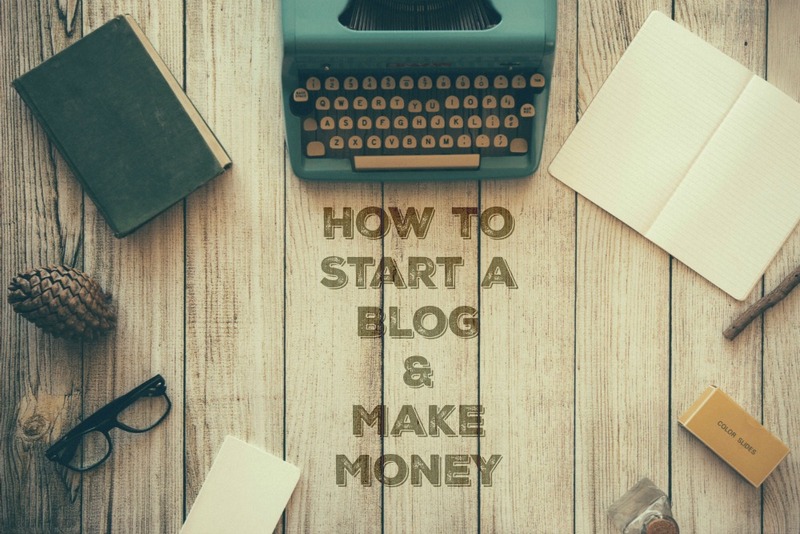 SO, if you are wanting to start a blog, trying to figure out how to promote or make money on your blog OR if you have a small business and want to add a blog page to your business, THIS IS FOR YOU! A unique Genius Blogger User Manual to help you pinpoint exactly which resources are right for you right now, so you can take action immediately. Over $1,447 worth of incredible (and brilliant) bonus offers from blogging companies, like Board Booster, ViralTag, The Hungry JPEG, Bluehost and Convertkit. Full money-back, happiness guarantee, so there’s no risk in trying it out. You will get all of this for $97! That is a 98% savings if you were to buy these ebooks and items individually. That is HUGE! HURRY!! This sale ends November 1, 2016. This is a BIG FLIPPING DEAL, you guys. Buy it for yourself, buy it for a friend. This bundle will rock your world plus, there’s no risk! A few days ago, it hit me. Next year will be my 10 year blogging anniversary. Ten years! I’ll be honest, I never thought I would be blogging this long. Now, I actually have multiple blogs and websites. I make my own hours, I decide what I will and will not post and I have fun with it. That’s what it is all about. Of course, it wasn’t always that easy. When I built my first website as Tulsa’s Coupon Queen, I actually did not even know what “blogging” was or that I was even doing it. I just had a few ideas and some thoughts that I thought would benefit other people. I was also teaching coupon workshops at that time and I needed a way to communicate with people. That’s how my first blog was born, it then turned into 918 Coupon Queen and eventually Money Saving Queen. Money Saving Queen has supported our family for a number of years, it’s not easy and I certainly did take a bumpy road but, making money while blogging can be done. My sister, MommyHatesCooking.com is a great example of that too! 1. The Concept: First, think of an original idea. The difference between blogging 10 years ago and blogging today is the amount of blogs out there right now. Think of something that sets you a part from the rest. I actually do not read blogs similar to my own, it’s a rule of mine and I have kept it for the most part over the last 10 years. The reason is that I want to make sure I keep my own voice especially in the coupon blog world which is quite honestly, flooded with blogs. What makes me different? First, I started 10 years ago, before the recession and when there were only a handful of us. I also have a good local following in my own city and focus on healthy eating. I have also been on television daily for the last 7 years which has helped me maintain a pretty consistent following. 2. The URL & Hosting: This is it. This is when things get real. It is important to think of a unique and catchy URL (blog name that will become your web address) that is descriptive of your brand and also easy to spell. You do not want a name that can be misspelled or confusing. Think hard about this one and test it out on family and friends. People come up with “cutesy” names all the time that end up being embarrassing later on or easily misheard when doing media appearances. For example, my former name 918 Coupon Queen was commonly mistaken for 911 Coupon Queen when I appeared on media outside of my area code (918 is the Tulsa area code FYI). Don’t let that happen to you. If it is available, GREAT! If not, try another one until you find the right fit for you. You can also visit Bluehost.com directly to set it up. At this point, it is time to select your hosting plan, I recommend the plus plan for $5.95 per month and then, setup your domain. Hosting is required to start a website, think about it as your rental space on the internet. It’s a must-have. I recommend the 36 month plan however, you can sign up for as little as 12 months. That’s a great deal and well worth it, if you use Bluehost, it will lead you through the proper steps and you’ll be ready to go in about 5 minutes. Now, here is where it gets flat out amazing. Bluehost will install WordPress for you. Did you hear that? I wish that was available when I first started blogging. Disclosure: I am a Bluehost affiliate. I use Bluehost on my ProduceGathering.com website. I do not use it for Money Saving Queen because this site is hosted by the same company that hosts our local news stations of which I was once affiliated with. 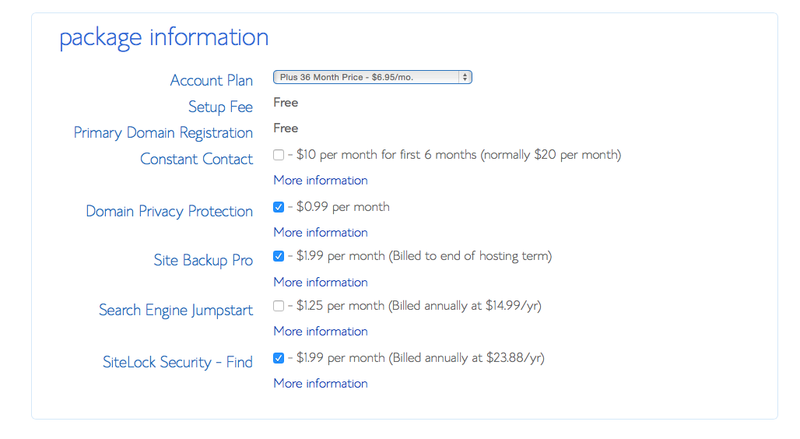 That being said, I love Bluehost and will be using it on another new site I plan to launch in the next few months. To install wordpress, watch the video below. Then, you’ll be ready to rock! Be sure to keep track of all of your login information and passwords. Screenshot them and write them down. Once you’ve completed this step, you are well on your way to writing your first blog post. What about design? Good question. You can hire designers such as Big Blue Designs, you can find great options on Etsy or you can design it yourself. I have done all three of these options and like the first the best personally. Keep in mind, first impressions are important. Once you have installed WordPress, you can click on the ADMIN URL link and login. Then, click post ->add new and being blogging. Of course, there are several methods to doing this and making your blog great. I would highly recommend visiting AmyLynnAndrews.com for amazing advice in that arena. 3. Making Money: This is where it all gets a bit more complex. The key to blogging is having multiple revenue streams. That might mean teaching workshops, hosting online workshops, selling advertising on your blog, using affiliate links such as the Bluehost link above or selling sponsored posts. It could also mean ebooks, “real” books and other products too. This is where you have to decide what your brand is going to look like, what voice you are going to give your brand and what advertising makes sense. For Money Saving Queen, I use affiliate links, sponsored posts, sold advertising and I teach workshops. We have used those methods for years and they work well for us. I limit the advertising I sell simply because I only use brands that make sense with our brand. For example, I don’t want to advertise for a casino when I’m trying to teach my readers how to save money. Doesn’t make sense. Take a little time to look around the blogging space and see what everyone else is doing in terms of revenue then think about what makes sense for your brand. You don’t have to have 50 different revenue streams, you can have 3 just as long as you do those 3 really well. Don’t forget to set up social media for your new blog, that will be key to driving traffic to your new website. If you have no traffic, you will have no advertising. Blogging is easy to start but it’s a real job maintaining it and hustling everyday. In fact, I think it’s safe to say I have never worked so hard in my life. That being said, I love it and I am so grateful for the blogging community!